Identify. Customize. Connect. Your Home Care Franchise Solution. 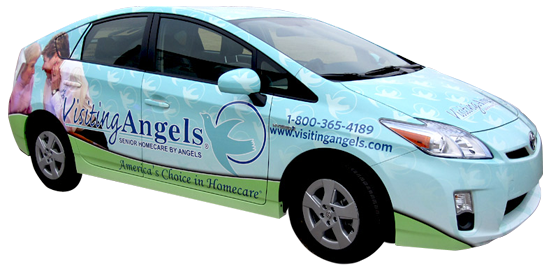 Visiting Angels home care franchise opportunities provide a wide range of marketing support. Our proven marketing programs provide the knowledgebase you need to launch your home care franchise and the support you need to grow a thriving business for many years to come. Our solid internet presence, PR opportunities and Co-Op advertising make it easy to build name recognition and a prosperous business future in your community. At Visiting Angels, we consistently outspent our competition with proven advertising and marketing initiatives. Since our founding in 1998, we’ve been creating and testing marketing and advertising programs. Through our commitment to establishing a strategic marketing plan, we’ve discovered what works and what doesn't. When you choose one of our elderly homecare franchise opportunities, we'll show you which advertising methods are the best for maximum effectiveness. We’ll also introduce you to a disciplined system for establishing strong contacts in your market. You'll connect with the people who refer clients so your business will grow and thrive. Each of our franchise owners receives a Marketing and Advertising Manual. This proprietary manual provides a blueprint for how to market and advertise home care services. You'll experience countless examples of successful strategies that have been tested, refined, and tested some more. With a home care franchise from Visiting Angels, you don’t have to reinvent the wheel; we have the tools you need to succeed. Our franchise owners can take advantage of customized designs, layouts and text for a wide variety of collateral pieces and advertising campaigns. We regularly roll out new proprietary marketing and advertising brochures so you have a constant source of relevant and up to date information to share with your clients. It's our goal to position you with the professional advantage to succeed as an elderly home care franchise owner. With our start up training, you will be an industry expert from day one. Choose a home care franchise. Get Started Today!